Park like setting in the heart of the city. Situated on half an acre in the hip neighborhood of Germantown. Recently updated bedrooms with memory foam mattresses and flat screen TVs. Updated kitchen with marble countertops and updated appliances. Convenient off street parking. 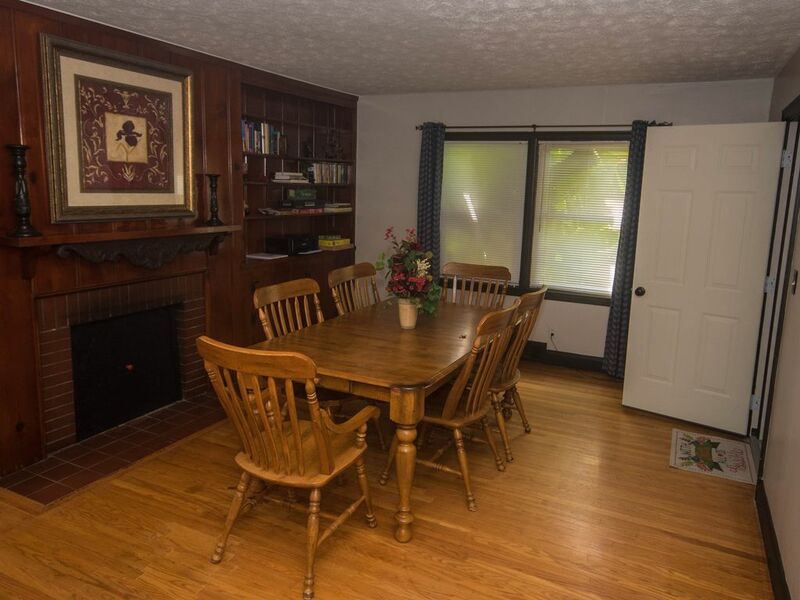 Close to the airport, Downtown, Churchill Downs, Bardstown Rd (restaurant row), Convention Center, Fairgrounds, University of Louisville - Cardinal Stadium, Yum Center, The Palace, Waterfront Park and Kentucky Kingdom. Amazing outside hang out with three grills. Whole house is broken up into 3 units. While owners live close by they do not live on the property. All beds are queen size. Shared free laundry facility complete with laundry detergent and dryer sheets. Shared large backyard hang out space with three grills. Iron and ironing board in unit. Kitchen well equipped. Towels and blankets provided with extras if needed. Bed all have firm and soft pillows. Free WIFI. Netflix on all smart TVs. Printer with airprint. DVD players. Games, books and DVDs. Laundry facility. Sunroom, backyard and grilling areas. As hosts we are pretty hands off and we do not live on the property. We can, however, be reached easily for anything guests may need. Guests are provided a door code at the main entrance and then a secondary code to retrieve the keys to the unit. The neighborhood is hip with new development and also includes young families. All the neighbors to our home know us and are very friendly. The home is within walking distance (less than 1 mile) to restaurants, coffee shops, bars, parks and shopping. Lots of things are very close so walking is always an option. Other options for transportation include public bus transport (TARC), Uber and Lyft, LouVelo bike sharing, Taxi, City Scoot and of course driving. This was our family's personal home for several years. We hope you find it as comfortable and inviting as we did. Have a large group?? This house has 3 units total that can be rented to accommodate up to 18 people. Message us about whole house rentals and discounts for renting more than one unit. Wonderful space for family reunion! Our family was meeting half-way for Thanksgiving. This house was near perfect. The owner has it well stocked. (We rented a VRBO in Holland, Michigan. The owner provided one roll of toilet paper and two tablets for the dishwasher.) The kitchen is roomy enough to actually cook in. The living space was large with a large dinning room table. (Like so many places, they do need a new sofa.) We ran in the local Turkey Trot downtown. Didn't need to leave early as downtown is only three miles away. We had a wonderful walk in the neighborhood after our Thanksgiving dinner. There are two neighborhood restaurants. We ate at the Hammerhead. Great food! Is the house worn? Sure, aren't we all? Would I bring my own sheets and pillows next time? Sure. There are two other units in the house. There was no one else staying in them at this time. I would guess it could be noisy from the upstairs unit. The back yard space would be wonderful in the summer. We did have trouble with VRBO and the pricing on this rental. This is the second time this has happened to us when renting through VRBO. However, if you are looking to reconnect with your family, this is the perfect setting to do so. Very cute house and well stocked with essentials for the weekend! Nice neighborhood too. The only issue we had was when the upstairs renter arrived after midnight our first night and the footsteps and luggage rolling through the unit was loud. It was not an issuer after that.